This website supports domestic sales only. For international sales, please contact Brad Enlow via email at brad@enlowgrips.com or call +1 785-556-1436. 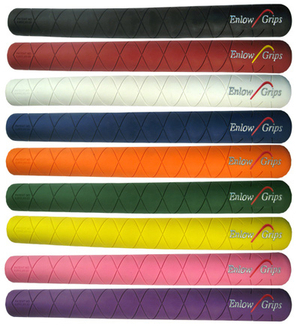 Enlow Grips are available in the attractive colors shown to the left and are sold individually or in packages. Fit men's or women's golf clubs. Please see the "package" dropdown below for quantity discounts.